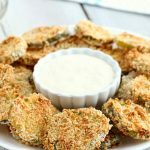 Air Fryer Fried Pickles – Crunchy dill pickle slices covered in crispy, seasoned Panko bread crumbs! So good and good for you, too! In the last few weeks I haven’t used my oven at all. 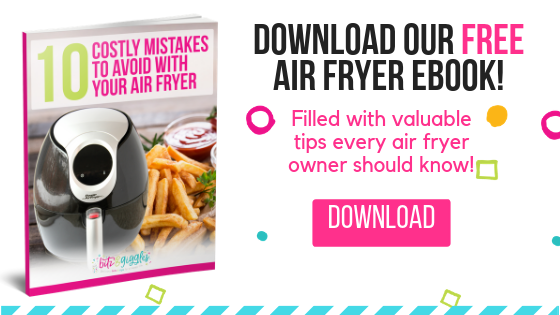 I’ve been using my air fryer and my new Ninja Foodi. 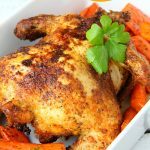 Did you see the chicken I made last week? Bottom line is, I’ve been having fun with both appliances, making appetizers, main dishes and sides. 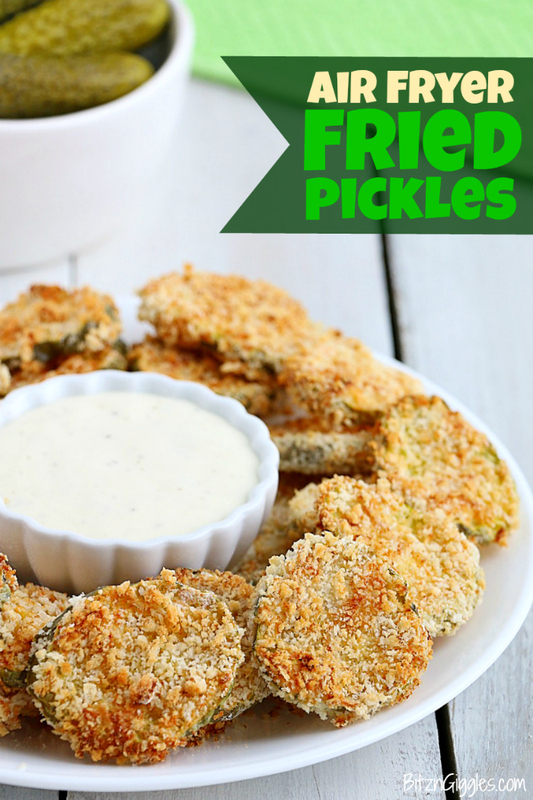 Today we’re making Air Fryer “Fried” Pickles. 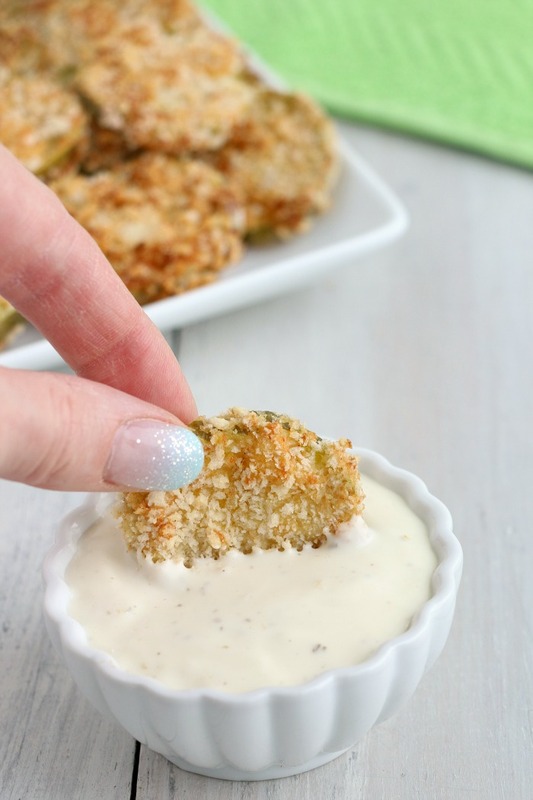 Fried pickles have been popping up as an appetizer selection on menus all over, and for good reason – there are lots of pickle lovers in this world. . .including me – and probably you, if you’re reading this. 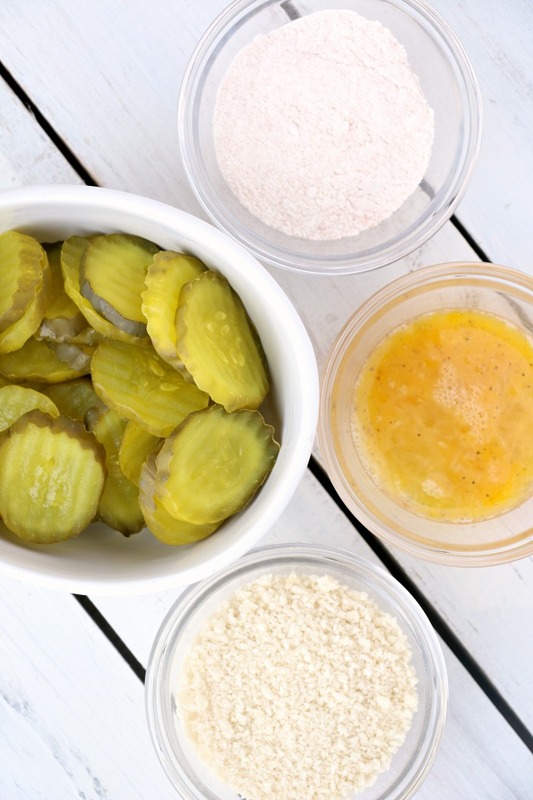 Let’s start by getting your pickles ready as well as your flour mixture, egg mixture and Panko crumbs. 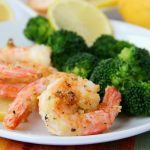 Just like this shrimp recipe I shared recently, you begin by dredging the pickle slices in the flour mixture and then the egg mixture. 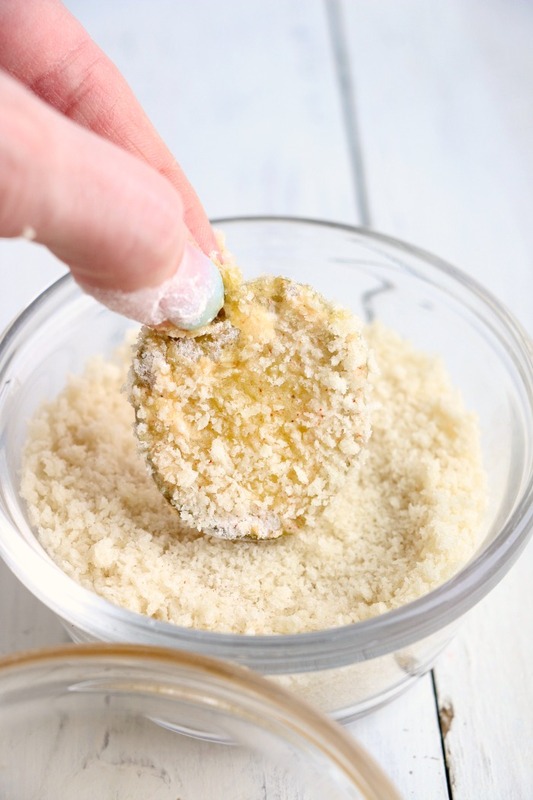 The last step is to dip the pickle slices into the Panko bread crumbs. When you place the slices in the air fryer, make sure they’re not overlapping. In about six minutes, the Panko bread crumbs are golden brown and the pickles are ready for dipping! 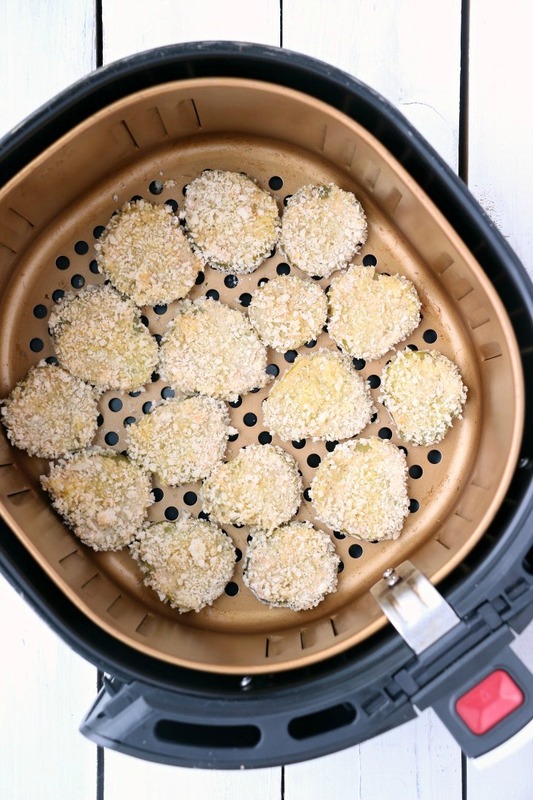 These air fryer fried pickles are perfect for parties and even after school snacks. We love to dip ours in ranch and I’m pretty sure lots of other people do, too. Yesterday at Sam’s Club right as you walked in they had a big display of Lay’s chips. Guess what the flavor was? 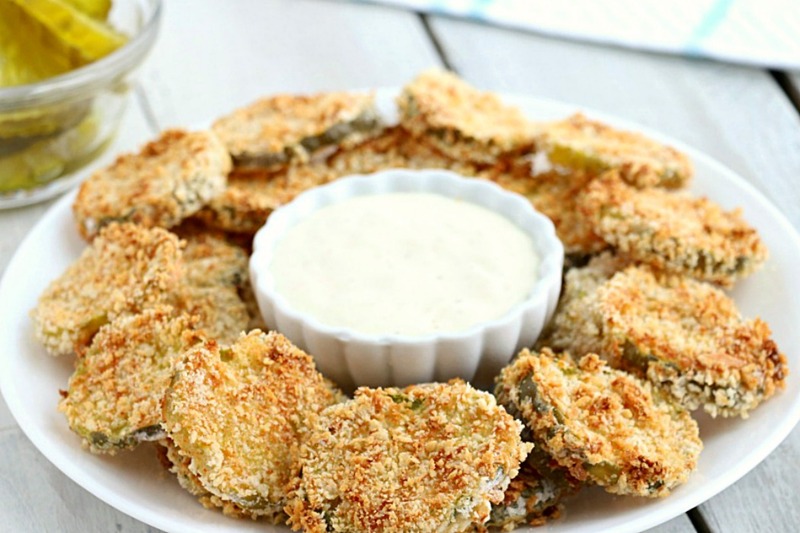 Fried Pickles with Ranch! No lie. I need to go back and buy a bag. . .or two. But until then, I’m going to enjoy the real deal. Happy dippin’! 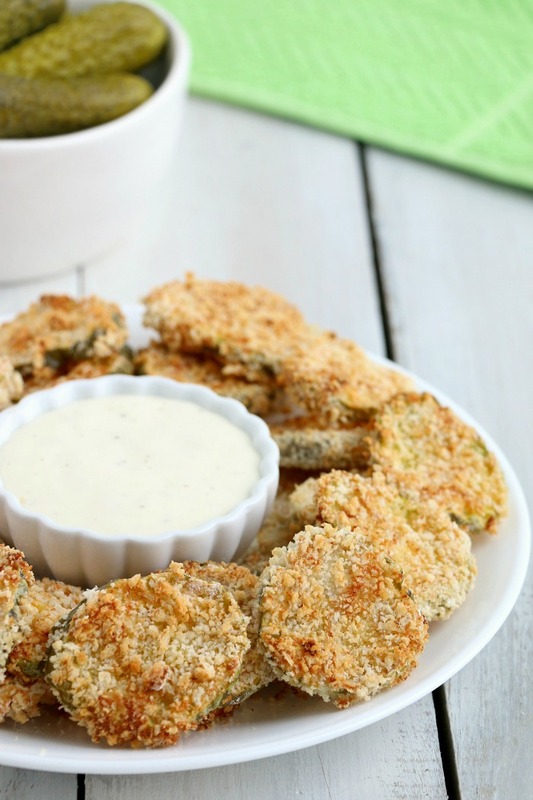 Crunchy dill pickle slices covered in crispy, seasoned Panko bread crumbs! So good and good for you, too! Using a paper towel, remove any excess juice from the pickles. In a small bowl, combine flour and paprika. In a second small bowl, whisk eggs, salt and pepper together. Pour bread crumbs in a third bowl. 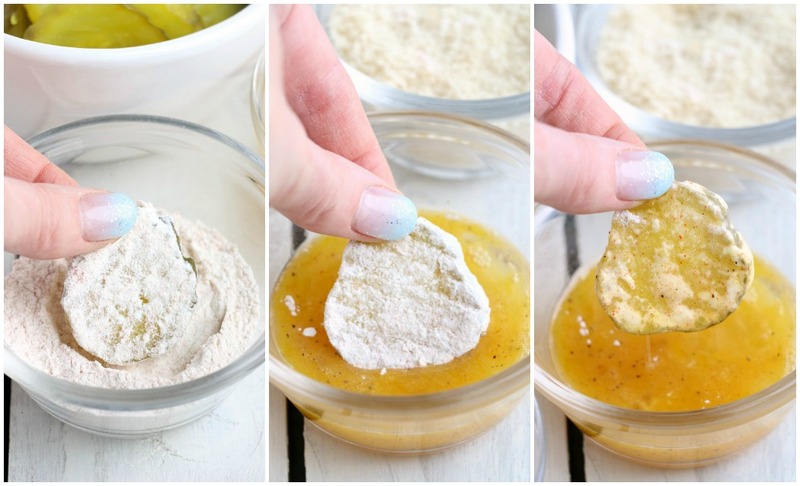 Prepare pickle slices by dredging them in the flour mixture followed by the eggs. Coat them with the Panko Bread Crumbs. 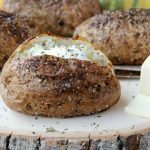 Place them in a single layer in your air fryer basket sprayed with nonstick cooking spray. Air fry for 6 minutes at 400º Fahrenheit or until crumbs turn golden brown. 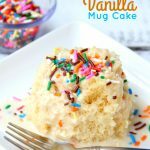 Serve with ranch and enjoy!